Whether you organize a seminar with the greatest speaker line-up, sell an amazing product or set out to fundamentally change your organization, you have to get your story across. It isn’t always easy to drive your argument home. How do you convince your colleague of your innovative ideas? How do you interest potential clients in your product? And how can you truly engage your target audience? We are Aaaaha! Agency for live communication. We are storytellers and experts in live interaction. We can help you get your story across in an engaging way. Furthermore, we have expertise in surprising meetingformats, that will activate your colleagues, conference-participants or business-relations. We know how to trigger them to take part in your journey. We will make your story come to live and get your audience in action. That’s the power of live communication. Our professional conference moderators set the right atmosphere and actively engage your audience. 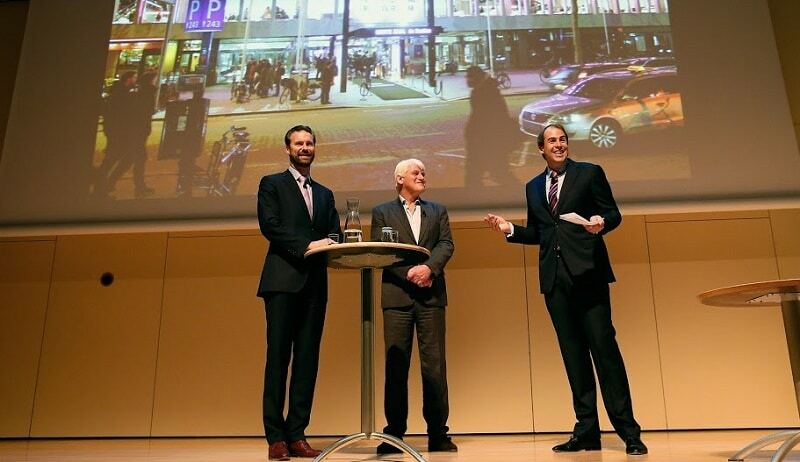 On a regular basis our moderators present international meetings and conferences in the Netherlands and abroad. 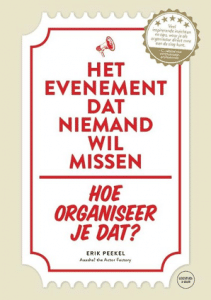 Are you planning to organise an international conference or sales meeting in the Netherlands? 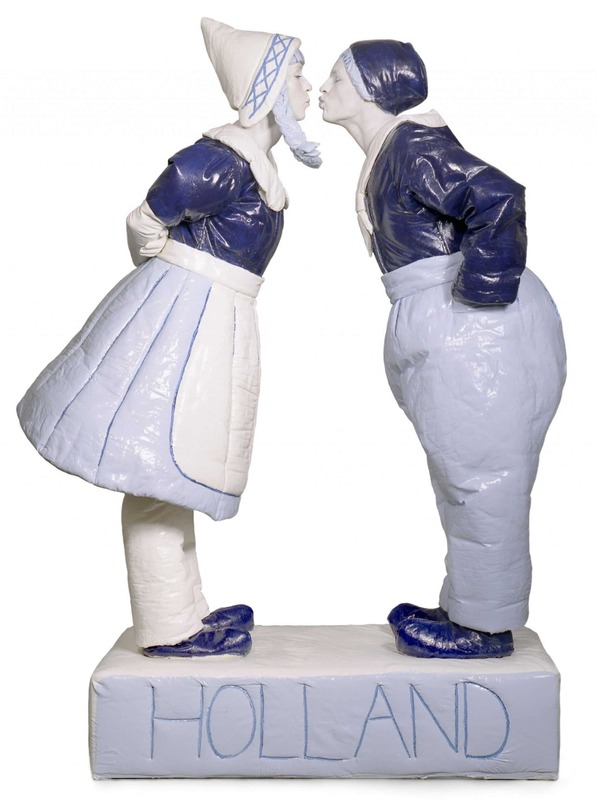 We are specialised in typically Dutch entertainment: Delft blue living statues, comedian on the habits of the Dutch and Dutch cheesemaidens. The Superbrainstorm is a collective brainstorm, that actively involves every participant. Live crowdsourcing lets people exchange ideas with each other. 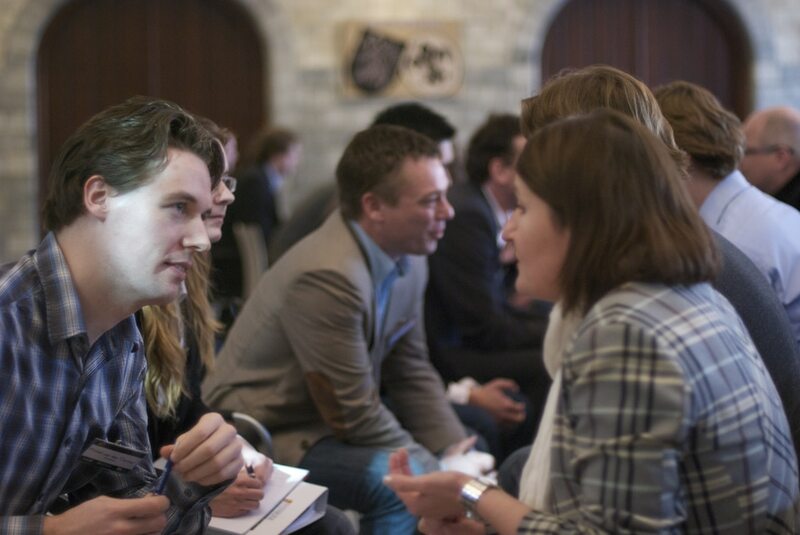 After each discussion round our Superbrainstormer will collect the most inspiring solutions in a lively way. 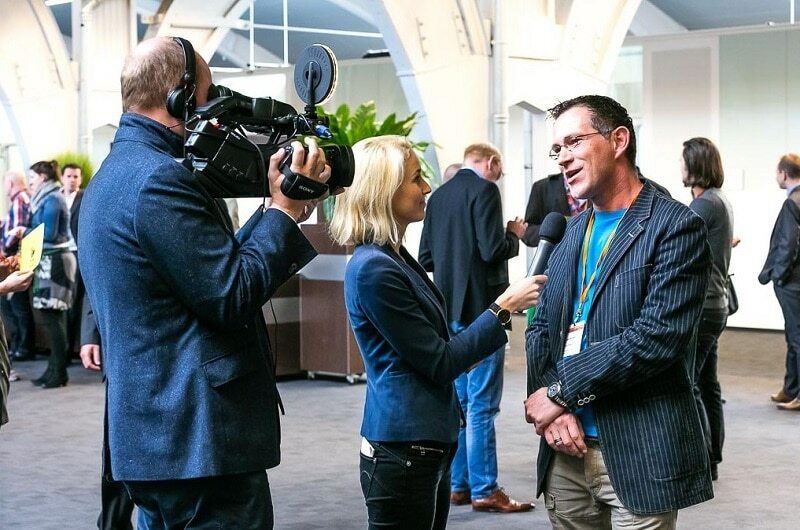 Our video reporter produces an aftermovie of your event. He edits on location throughout the day. The finished result (usually 4 minutes) can be shown at the end of the conference. The video can also be used to promote the next edition of your event. Our actresses facilitate live matchmaking. They wear especially designed ropes covered with the business cards of your attendees. As charming hostesses they connect your guests with each other in a lively way. 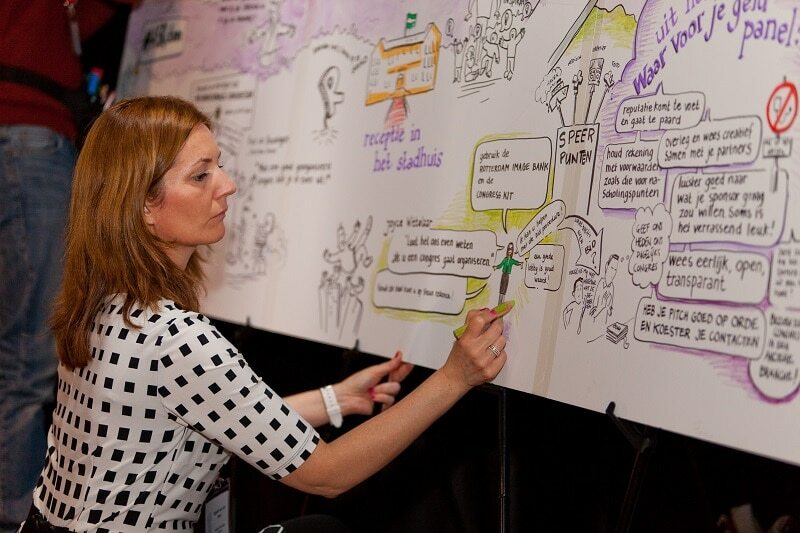 We offer creative ways to capture the content of your meeting: live mindmapping, live business cartooning, live illustrators or the Wallreport. This enables you to send your conference delegates a actionable insights after your meeting. Let’s schedule a free brainstorm to discuss your challenge. How can you get invitees to look forward to your event and then keep talking about it afterwards? 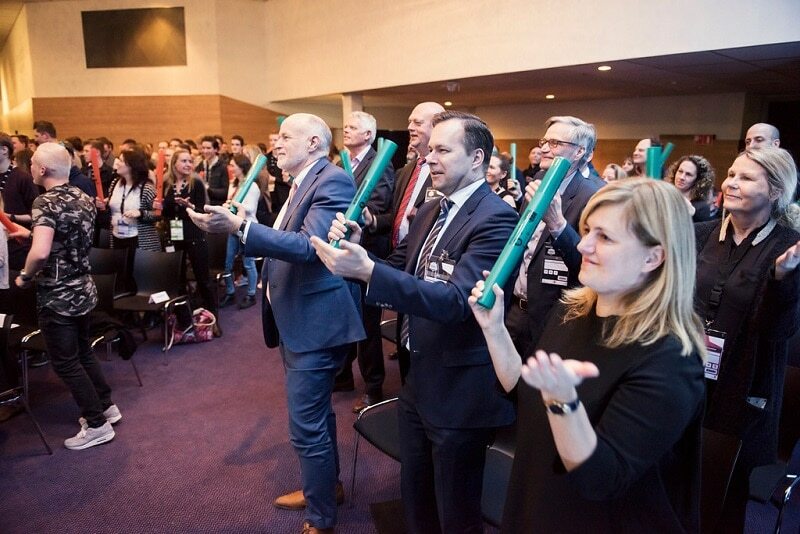 We know how to activate your colleagues, conference-participants or business-relations. That’s the power of live communication.